It’s not every day I pay attention to pop music. 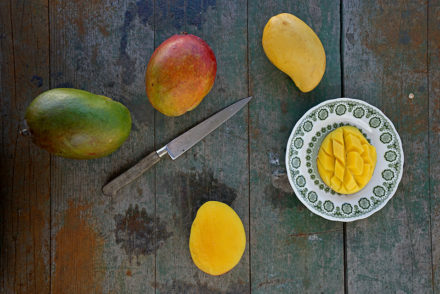 Today my mango google alerts were pinging me with a slurry of mango talk and Ariana Grande. I was intrigued from the get-go. Any pop star of her caliber giving juice to sweet mangoes just makes me smile. Does it surprise me? No, everyone loves mangoes. That’s the point of this glorious business that I happen to be smack in the middle of. I’m happy when others shine the light on this beautiful fruit, grown by amazing, hard-working people all over the world. People that know me well are probably shrugging their shoulders and asking, “How does Nissa even know anything about Ariana Grande? She’s music illiterate.” Yes, they’d be right. Unbeknownst to them, Ariana Grande definitely sits on several of my playlists. Full disclosure: I must point out that most, if not all of my Spotify playlists, are stolen (or “borrowed”) from my dear friend Amelia Ruth. I can’t take full credit for knowing about Ariana’s music on my own, but I can take credit for good friends with great taste in music. I have enjoyed the sensitivity of Ariana’s music and specifically the album Sweetener. The dog and I absolutely belt out her songs while cooking and recipe testing. This morning when I got the first google alert connecting Ariana to mangoes, I thought I’d go on Twitter and retweet it for Crespo. (“Hey, I told you world that mangoes are cool!”) Twitter is a place I rarely venture, and I am pretty “bad” at it. My tweets kind of look like an adult ice skating for the first time – awkward and painful. You might say it was a big deal for me. Hopefully it worked. I retweeted the original tweet, had some giggles, and went about my day. Some time later I sat down at my desk, and several more google alerts about Ariana and mangoes appeared. This time I clicked around and found this article on Bustle on the mango tweet and fans professing their love of mangoes alongside Ariana. Not only did I learn that her tour starts Monday, but that it’s called The Sweetener Tour. The fact that she now had fans confessing their love of mangoes reminded me of the power we all have to spread messages. 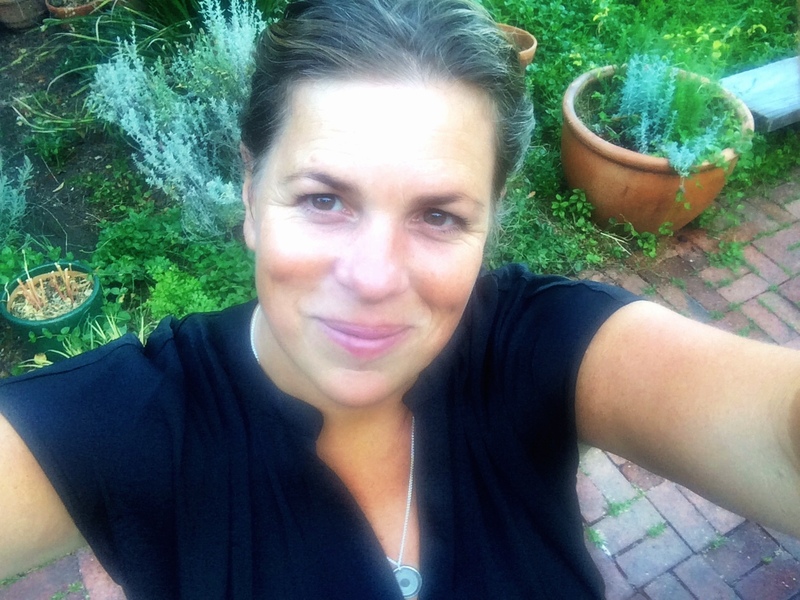 I thought I’d jump on the bandwagon and exert my own power the way I do best – by celebrating the interlinked nature of life through recipes. In terms of creating recipes, my mind works pretty consistently. It starts with me making some connections; then, upon noticing said connections, I must set them free. In this process, I let them unravel and, eventually, I conceive an idea (a recipe). That idea (or recipe) is usually fueled by some passionate feeling – even whimsy. Today, I felt great passion for everyone loving on mangoes. I felt joy and enthusiasm. So during this tweet storm, a recipe was unraveling. Finally, when I read that Sweetener was the name for her tour, a new recipe was born – Mango Moon Milk. My mind is rather complex, and there seems to be much going on in it that I am not total aware of at all times. As I started to jot down my idea/recipe, I was giddy with delight at how detailed it was and how it perfectly it was unraveling. I often this is the way my mind and recipe-writing works. This experience today reminds me of a recipe I wrote a few years back called the Justin Long Shank. 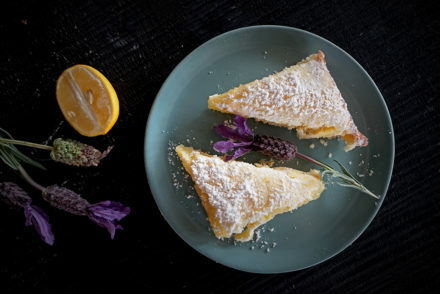 He filmed his first move – A Case of You – in my Brooklyn cooking school, and I got to do some food styling for it. All I needed to do was pull something meaty from the oven for one tiny scene (but I rarely do anything tiny). The Justin Long (Lamb) Shank recipe was born. In retrospect, it was a pretty awesome recipe – a white wine slow-roasted lamb shank with fresh peas and potatoes served with a fresh rosemary and mint-citrus finishing salt. I can’t for the life of me find the recipe, nor do I know why I never posted it on Ger-Nis. I do remember handing it to him and seeing his big smile. Now in this case I will never actually hand Ariana my recipe, but hopefully some super-fan with better twitter skills will make sure she gets this. The recipe is a whimsical addition to today’s mango frenzy (inspired by her confessed love of mangoes) but it’s also quite good and fun to make. 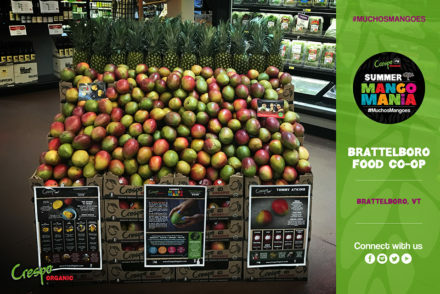 And Ariana, if you read this, we (Crespo Organic Mangoes) would like to send you a personal bounty of sweet organic mangoes for your tour – just let me know! The Sweetener is both sweet and exotic. It’s basically pure mango nectar with a floral kiss of honey….When the raindrops on mango orchards, the mangoes drip into a glass just for you. And everytime you make an Ariana Grande Mango Sweetener, you’ll be successful. The recipe is foolproof; you’ll be breathin fine. Use it to sweeten tea, lemonade, sparkling water, mocktails, and cocktails. When you have no tears left to cry, it’s the perfect addition to a comforting sleepy moon milk- for a goodnight n go. This succulent elixir is borderline perfect. The floral honey notes mingle with perfumed tropical mango nectar. You are better off without sugar. This recipe isn’t for you pete davidson: get well soon. Placed the cubed mango in a blender with about ¼ cup of water and blend until a smooth puree is created. 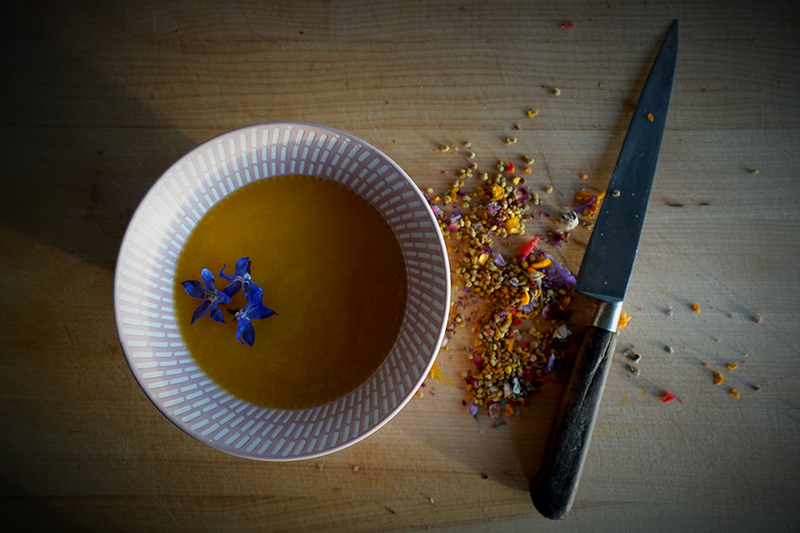 Place the mango pits in a medium sauce pan with the 2 cups of water, the rose petals and lavender or earl grey tea bag. Bring the mixture to a boil, then reduce and simmer for 10 minutes. Strain and discard the pits and petals and while the liquid is still hot, whisk in the honey until it melts into the hot liquid. Whisk in the mango nectar (puree) Bottle up and refrigerate. 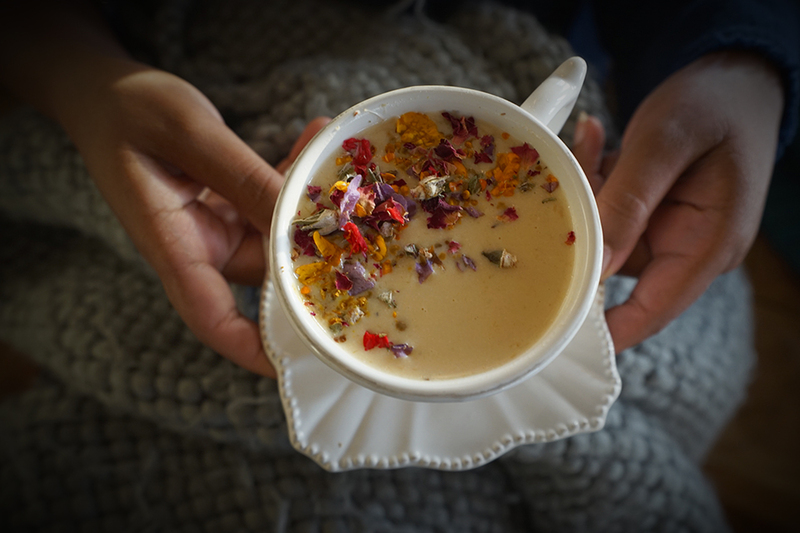 Moon milk is a recipe inspired by the ancient Ayurveda practice of sipping warm milk before bedtime in order to reduce stress and anxiety. The practice is intended to lead the body to the ultimate comfort level that will induce restful sleep. Only certain milks contain natural melatonin, which is the compound that aids in restful sleep. Cow milk, almond, and walnut milks are the three milks with enough natural melatonin to really work magic (cow milk being the richest in melatonin). In days gone by, warm milk alone was enough to do the trick (it still is). Today many recipes add adaptogens and all kinds of flavoring agents, some specific for sleep aid and some just rather tasty. Ashwagandha, rhodiola, and reishi & chaga mushrooms are probably the most common adaptogens, and they are known to reduce perceived and actual stress levels considerably. My recipe uses Ashwangandha as I think it’s the easiest to get and use (note: the mushrooms can have bigger side effects if not used properly). It tastes naturally bitter and a little pungent, and it can absolutely be skipped without incident in this recipe. It gives a boost of health benefits but won’t affect the effectiveness of this sleep potion. I think my recipe does a great job of masking the bitterness of the herb just enough that it’s pleasant and enjoyable, with the sweet mango taking charge to tame its flavor. Tart cherry juice (unsweetened has incredible amounts of antioxidants (just like mangoes), but it’s an incredible source of natural melatonin as well. 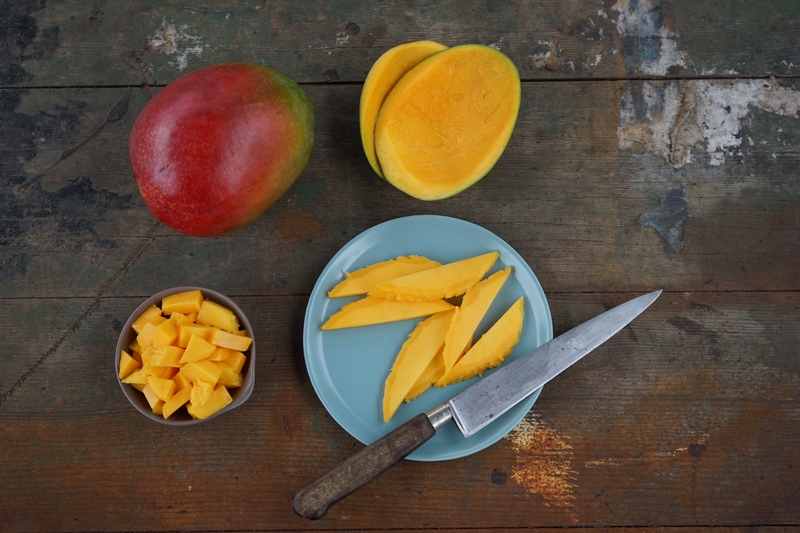 Mangoes bring great flavor to this warm nighttime sipper, and they also bring significant nutritional benefits like massive amounts of Vitamin C and A. They also provide a variety of naturally occurring polyphenols that can contribute to healthy aging. Phenols are the compounds that serve as the base for antioxidants, and nutrients help repair free radical cells in the body, which are often on overdrive at night when the body is restful. Mangoes also help keep skin and hair moisturized and healthy due to the large amounts of vitamins. So this elixir doubles down as a sleep aid and produces silky hair and supple skin. Mango is also a really important additive if you are using a plant-based milk versus cow. The Vitamin C in mangoes is known to aid in the body’s absorption of plant-based proteins which promote growth and repair and again work diligently overnight when the body rests. 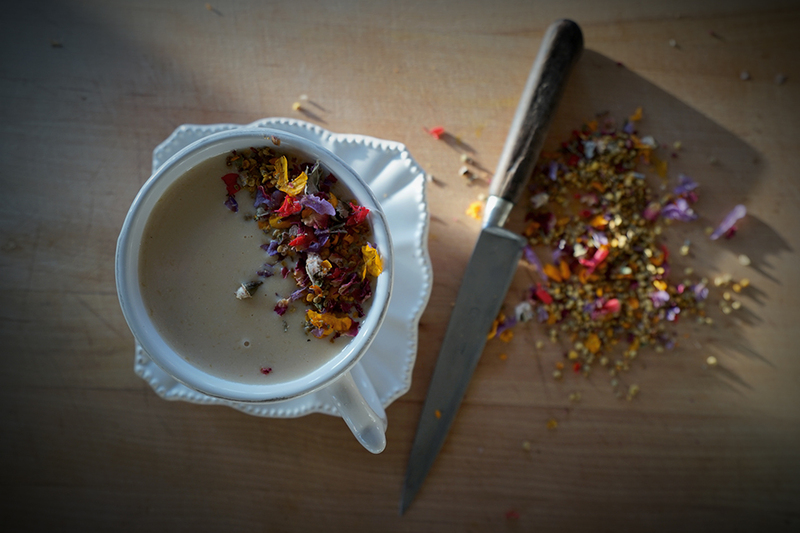 Rose, lavender petals, and bee pollen dust top off the milk and bring a wonderful visual element. This is important for our senses to feel joy and peace. The flowers help induce calm with their aroma, and the bee pollen offers a micro dose of over 250 nutritionally beneficial substances including complete proteins, carbs, lipids, fatty acids, vitamins, minerals, enzymes, and antioxidants. This is exactly what you need to help you Good Night n Go… to sleep. You will want to put on Ariana’s Sweetener album and bop around your kitchen while you peacefully make yourself this beautiful peaceful sleep-inducing cup of love. 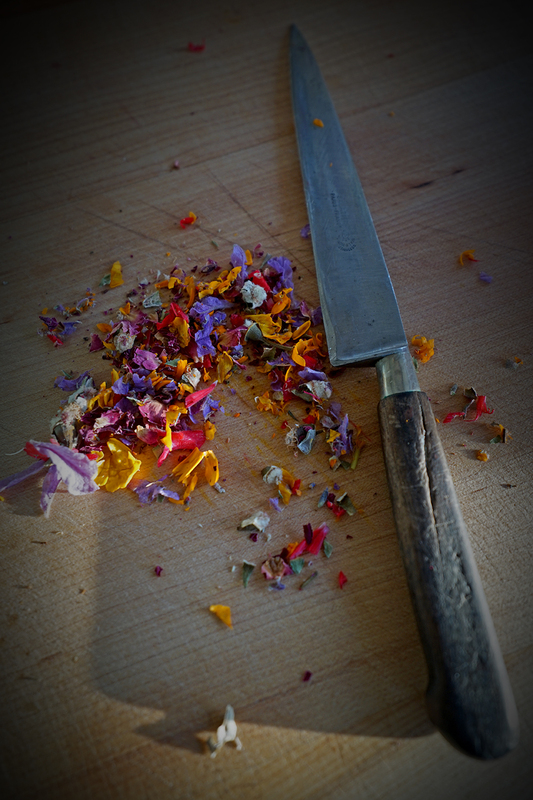 Make the petal pollen by combining chopped edible flower petals with bee pollen, set aside. Combine the milk, cherry juice and ashwagandha in a medium sauce pan and place on medium heat, whisking until all of the ashwagandha powder is mixed in. 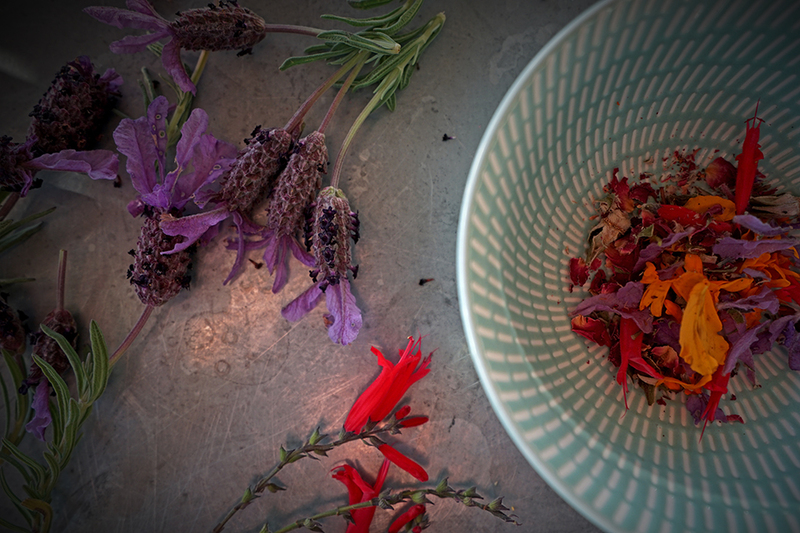 Add the rose and lavender petals to the saucepan and bring to a gentle simmer. Heat gently for about 3 minutes. Then strain out rose petals and gently whisk in the mango sweetener. Pour into your drinking up and top with a sprinkle of the petal pollen.